When it comes to recruiting new customers there is a lot to consider. For instance, studies find it is up to 7x more costly to capture a new customer than to retain an existing one; a 2% increase in customer retention has about the same impact as cutting costs by 10% and 68% of customers that leave say they ultimately did so because they perceived the company was indifferent to them. So, to help community bankers in this area we offer the following tried and tested strategies for recruiting business customers. Tactic #1 is to identify prospects. One way to do this is through the effective use of data mining techniques. There are numerous different databases that, for relatively nominal fees, will give you a wealth of information about good prospects. For example, if you want to go after apartment owners in a specific area, you can contact a local title company and see what databases they might use and what sort of cost you are looking at. By tapping into such a database you could potentially identify apartment owners within a 10-mile radius who might be ripe for a loan. These types of databases have information about who owns the apartments, outstanding loan balances and who they are banking with - all very useful recruiting information. Tactic #2 is to keep moving. It is very hard to win business if customer facing teams sit at their desks. People don't walk in very often anymore so you have to go wherever they are. Train your teams to walk down the street in your town and knock on the doors of local businesses. Bring in a team of specialists for cash management, deposits, loans and other things and you are off to the races. During these visits, be sure to lead off with something that the customer might want or appreciate to help break the ice. Some community banks have developed exemplary switch kits so maybe it is time to revisit that as well. Tactic #3 is to make the process easy for customers. People don't do difficult anymore, so revisit everything you do through the lens of the customer. We highly recommend that senior management focus on the customer and local competitors to tighten things up. Far too few bankers do this, yet you would be amazed at the number of inefficiencies that can be uncovered through such a process. Tactic #4 is to take a special look at digital services. Test to make sure your online platform is straightforward and easy to use. If you advertise to business customers that they can do online wire transfers, but the process is so overly complicated that the customer has to pick up the phone and ask questions, you've dropped the ball. Your website needs to be laid out so customers can use your advertised services easily. If you offer you have a user-friendly experience, you need to be sure that is the case. Tactic #5 is to have members of senior management team practice opening accounts just like actual business customers would. Knowing how long the process takes and where there are glitches is critical information. It's also a good idea for management to see how other institutions do this, in order to emulate best practices and scratch what's ineffective. 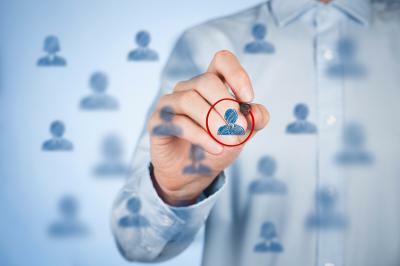 These are just a few tactics to help your team better recruit business customers. By focusing on these & other fundamentals, it will be easier to keep customers and capture new ones as you out perform competitors. Markets were stunned after the unexpected election results. Yields shot up 20bp as investors repositioned for a Trump presidency likely focused on higher spending and tax cuts. 1) CresCom Bank ($1.6B, SC) will acquire Greer State Bank ($380mm, SC) for $45.1mm in cash (10%) and stock (90%) or about 1.6x tangible book. Research by Bank Director finds technology concerns that ranked highest among bank executives and boards are: having a strong technology infrastructure to protect against cyberattacks (72%), spending the right money on the right technology (61%), effective use of bank data (57%), core processors impeding the ability to innovate (33%), and understanding technology well enough to provide adequate governance oversight (31%). Research by Computer Services Inc. finds bank executives say the greatest challenges this year are: driving growth and profitability (29%), managing compliance (29%), mitigating fraud and cybersecurity (18%), adding new technologies (7%), strategic hiring decisions (5%) and deploying customer facing initiatives (3%). Research by TSYS of consumers finds they want to hear from their financial institution on the following frequency: 1x per month (38%), they want the ability to decide how often (22%), 1x per week (18%), 1x per year (7%), and never (15%). CCG Catalyst research finds 92% of millennials say they would choose a bank for its digital service offerings. Research by Aite finds counterfeit card fraud accounts for 45% of fraud. Research by Metaforic finds only 20% of consumers surveyed have installed anti-virus or anti-malware software on their mobile devices. ICBA reports 43% of banks now have a ".bank" domain name.